I find rain to inspire me to work on my art. I am not tempted to spend long hours outside, although I do like to go out for just a bit to get a “taste” of the rain. There are always a lot of indoor things for me to do. 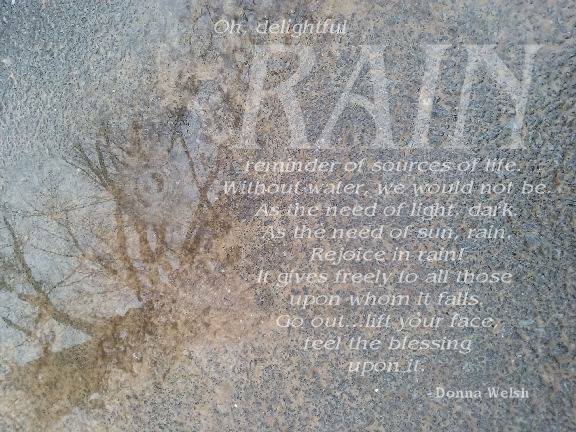 Does the rain inspire you? Does it make you feel more down and sluggish? How do you use rainy time?